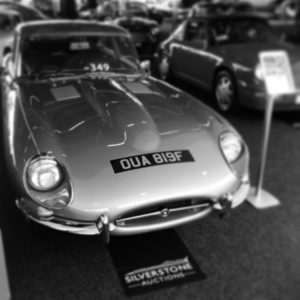 Trade Classics > Classic Car Auctions > What are the best classic car auctions in the UK? What are the best classic car auctions in the UK? Classic car auctions are held all over the UK and specialise in auctioning off modern day, collectable and vintage classic cars from all eras. In this article I’ll list the largest and most popular classic car auctions in the UK. If you are looking for your first classic car, or alternatively are a seasoned enthusiast and looking for the next classic to add to your collection then buying at auction may be right for you. However, like buying anything at auction, you have to be careful and know what you are doing. You don’t want to purchase that dream car only to find out later it’s held together with chewing gum! So please do your research, and if you are after a certain make of car then do all the reading you can to find out known trouble spots to look out for. For example, Triumph Stags are particularly prone to overheating so my first port of call would be to check the oil filler cap for signs of water on the inside and make sure the water reservoir contains just that – water! You may not have a long time to check the car on the day, so the following are generic areas to action that shouldn’t take longer than 15mins to run through. Is the owner at the sale – if so then seek him/her out to ask questions to, e.g. how long have they owned it, how has it been cared for, garaged, work done. Does the seller seem genuine and have a genuine reason for selling their classic car at auction? Frequency: Approx 6 a year. Description: Charterhouse Classic Car Auctioneers hold sales at the Bristol Classic Car Show three times a year and also a summer sale at Sherborne Castle. The company also run sales in April and September in the Bath & West Showground. Frequency: Approx 5 a year. Description: Anglia Classic Car Auctions are held at their main site in King’s Lynn and have been running classic sales since 2005. They are now one of the top classic car auctioneers in the UK with around five sales a year. Description: Barons is one of the top auctioneers in the country specialising in highend and prestige cars. They run about 6 events a year from their centre in Sandown Park. Frequency: Approx 11 a year. Description: Coys are a prestigous auction house and have sold some of the most expensive classic cars in the world. Their event calendar runs throughout the year and includes European locations, e.g. Netherlands, Germany and Monaco. Frequency: Over 10 a year. Description: H&H are dedicated to cars since 1993 and are now one of the top auction houses in the UK. All their lots are listed online with description and photos. Frequency: Over 15 a year. Where: Various locations in the UK including Goodwood, Beaulieu, Greenwich and Oxford. Description: Bonhams hold regurlar sales throughout the year, in fact they are one of the largest houses in the UK. They regurarly achieve six figure sums for their cars from locations around the globe. Frequency: Approx 10 a year. Where: Silverstone Race Circuit and other locations around the UK including Car Fest and NEC. Description: Silverstone Auctions are one of the newer auctioneers on the scene, however, they have quickly grown into one of the top classic car auctioneers in the UK. They held events at Car Fest earlier this year with amazing sale results. Description: Brichtwells Classic Vehicles hold events throughout the year with a good mix of of both collectable and vintage cars.